As you know, these programs have made a positive difference in our world for decades. We’ve developed leaders through RYLA, built international understanding through Rotary Youth Exchange, and worked side-by-side with Interactors and Rotaractors to take action in our communities. But, just like Rotary, these programs have never received the recognition they deserve. Members of the public often don’t know our programs, why they matter, and how they are connected to Rotary’s story. In the coming days, we will be rolling out a new visual identity for these programs that helps make that connection to Rotary more clear. Now when we continue to tell our inspiring story of the great work these young leaders make in communities around the world, they will know it is an extension of the Rotary brand. This new visual identity won’t replace your memories — the framed RYLA certificate on your wall, the well-loved Interact T-shirts in your drawer, or the many Youth Exchange pins on your blazer. It won’t erase your fondness for your Rotaract lapel pin or traditional club banner. Instead, we hope our effort builds on those positive feelings and gives you new ways to share your Rotary story with even more young leaders worldwide. After all, there is no better Rotary brand than youth. You are Rotary’s values in action. You are our voice. And together we can share your Rotary experience with even more leaders. 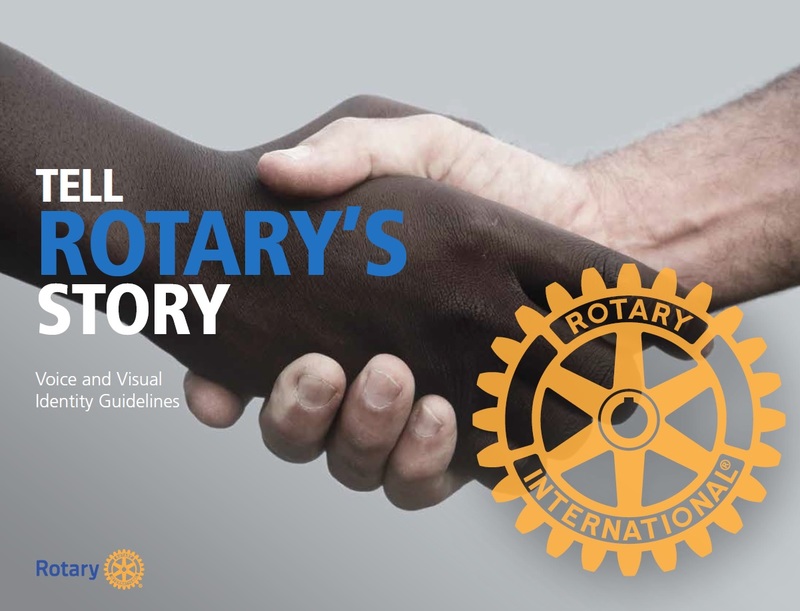 Learn more about how these visual changes to our programs will strengthen Rotary’s image in our voice and visual identity guidelines. Rotary Public Image Blog – promoting the good work Rotary does in the community and internationally. 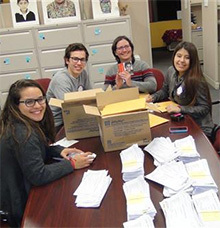 Rotary Youth Exchange Students help Rotary members in Minnesota pack school materials for a nonprofit in Guatemala. Rotary clubs in Minnesota, USA, have banded together to send boxes of textbooks to and purchase school supplies for an organization in Guatemala that is helping students from poor families receive an education.